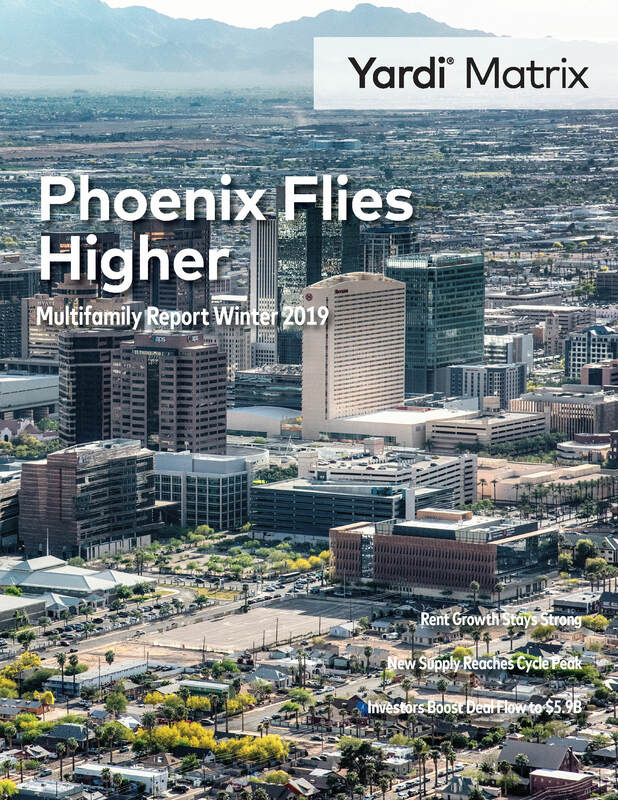 Rents in Phoenix rose 6.5% year-over-year through January (2019) outpacing the 3.3% national rate. Demand is expected to keep up with the new supply projected to come online in 2019 with rent growth expected to be 3.9% this year. Phoenix added 86,800 jobs in the 12 months ending in November, up 3.6% year-over-year, outpacing the 2.1% national rate. Phoenix remains attractive for many would-be homeowners who choose to relocate from pricier West Coast markets. Investors purchased all asset classes, with acquisition yields from 4.5% to 5.0% for stabilized class “A” properties in in-fill locations and to 7.0% for suburban class “C” communities with reposition opportunities. Yardi® Matrix Multifamily (www.yardimatrix.com) is a source for originating, pre-underwriting and managing assets for profitable loans and investments. They are active in 133 Multifamily markets across the U.S., providing researched data on properties least 50 units in size. Kasten Long Commercial Group (www.KLCommercialGroup.com) is a full-service commercial real estate brokerage with a focus on apartments. KLCG relies on Yardi’s data as a resource for our clients and for multifamily research in metro Phoenix.